Sell the weed eater and use a scythe! Maintain your body, not your machines. Learn the sharper points of this elegant tool. Thought to be old school, but better blades and an ergonomic set up makes them one of the most efficient tools out there. Learn what makes a good scythe, how to select a scythe for your needs and how to properly maintain it for years of efficient use. Participants will be able to try out a number of different blades and snaths to learn the benefits of each. 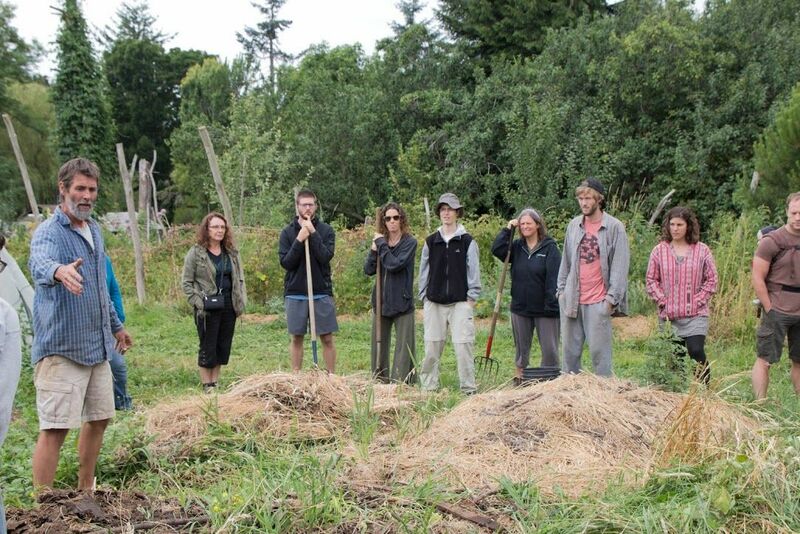 A fun filled Permaculture Immersion Weekend will illustrate practical ways to design a integrated living system that is self regulating, abundant and resilient. Weather you are on an urban lot or a farm homestead, energy, water, soil building, animal systems, food production and preservation systems, diverse income streams are all important to you. An extended site tour will augment this experiential weekend. Presentations and discussion in the AM, site tour and hands on with plant guilds, soil creation, Nursery establishment and other integrated systems in the PM. Pot luck lunch for both days. Camping is available. 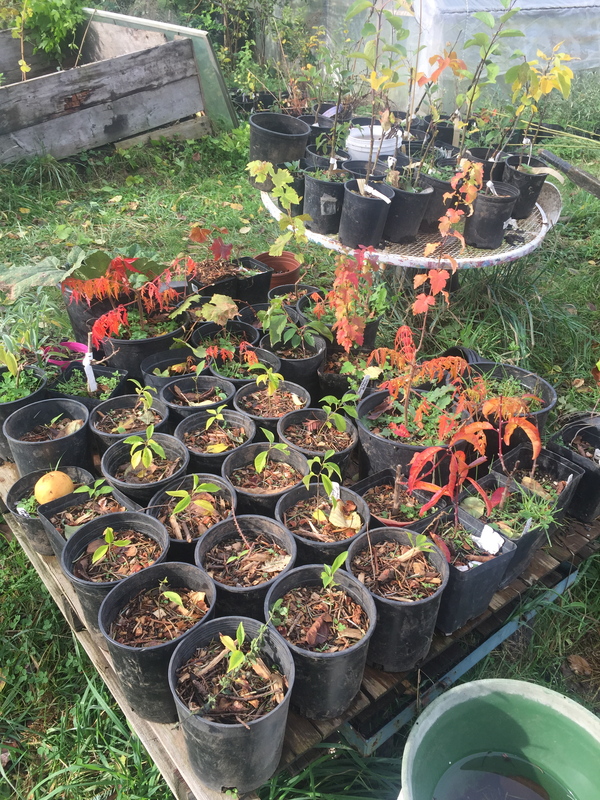 Plant a garden, eat for a year, plant a Food Forest Guild, eat for decades! 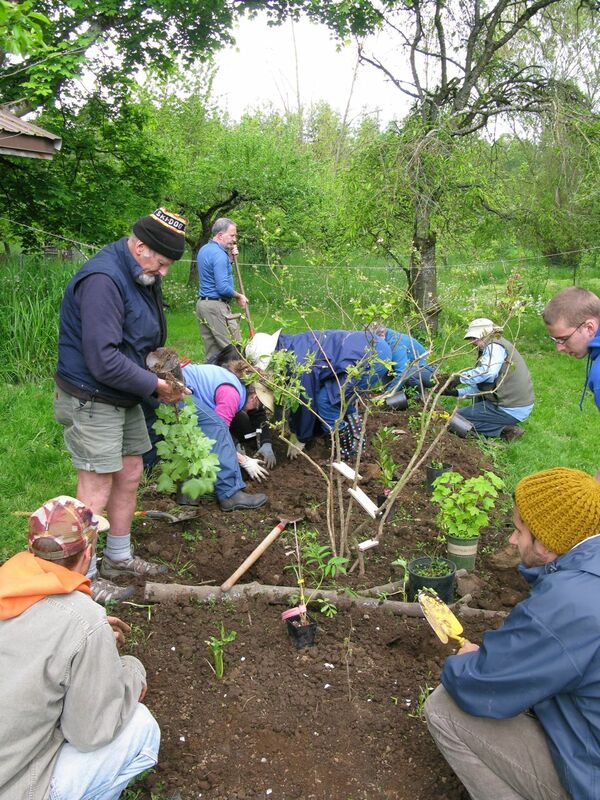 This hands on workshop shares design elements necessary for a perennial food forest. Learn about fruit and nut trees suited to our area, Fertilizing guild plants, pollinator attractants and more. Stacked systems can create the productivity of a forest. Once established it will provide for its own needs, producing food for decades! Presentations and discussions, site tour and hands on projects. Learn the skills to pattern with your natural landscape to create an integrated systems of abundance and productivity! Design strategies and methods for truly sustainable, regenerative human integration as a part of their ecosystem. We will look at strategies for resilient water, nutrients, soil regeneration, food production, shelter, energy, and more. 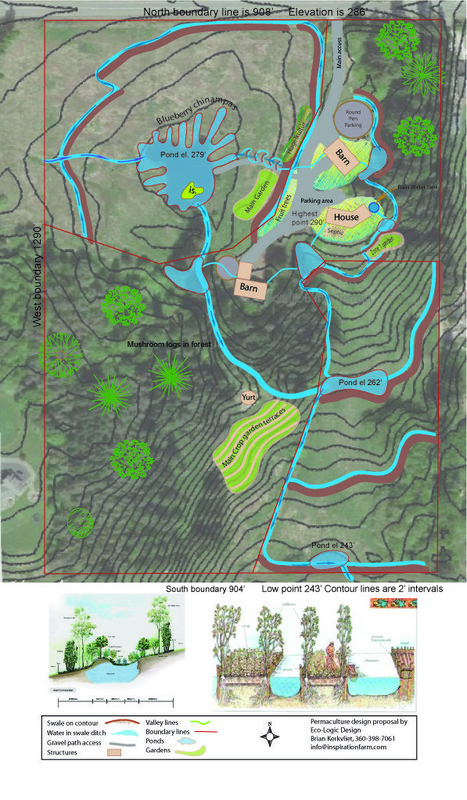 Curriculum Includes: Permaculture Ethics and Design Principles, Pattern Recognition, Climate Factors and micro climates, Water Management, Soil, Trees, Earthworks, Surveying and Mapping. Leading up to a real life design exercise, mapping and placing elements within a holistic Permaculture design. Class format includes lectures, discussions, tours and hands-on activities. Pot luck lunch for both days. Camping is available. Learn about soil, the life within it and the life it gives. We will look at ways to make soil, through different composting methods and strategies for composting in place. Strategies to maintain healthy soil at the same time you grow crops and the ways to prepare beds. We will show you ways to extend your healthy soil organisms from you compost with compost teas and other herbal ferments. Weeds and what they can tell you about your soil. All classes are 10 am to 4pm unless stated otherwise. Please bring a lunch. To stay in the loop, sign up on Inspiration Farm’s news list.